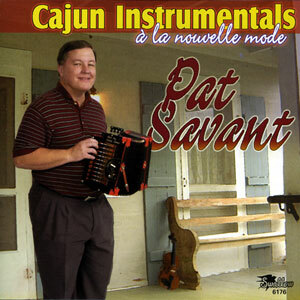 Pat Savant, born & raised in Lake Charles, Louisiana, is certainly no stranger to the Cajun accordion. He was first introduced to Cajun music by watching The Aldus Roger Show as a very young boy. At only 15 years old, Pat began playing for the group “The Sundown Playboys.” They became known worldwide in 1971 when the Beatles’ Apple label released their album Saturday Night Special. Today he plays Cajun music with a Country “twist,” including plenty of heart-felt waltzes and lively two-steps. When Pat’s not playing live at venues around Louisiana and Texas, he’s a homebound teacher for the Calcasieu Parish School Board.